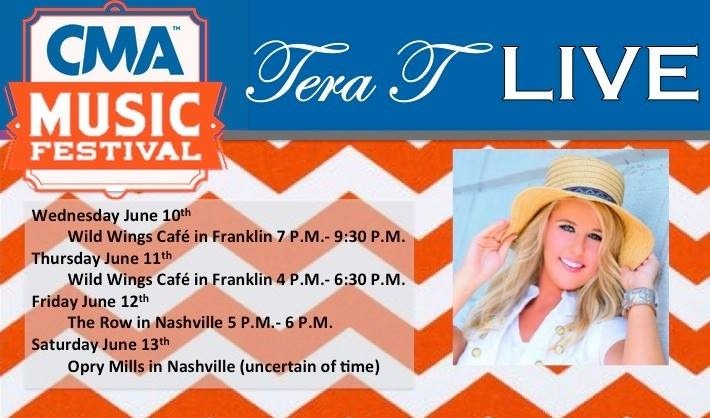 #NashvilleMusic #CMAWeek via Tera Townsend​ & Tera Townsend Music​: Tera said: ‘Here are my CMA week venues I will be performing at! Come on out! 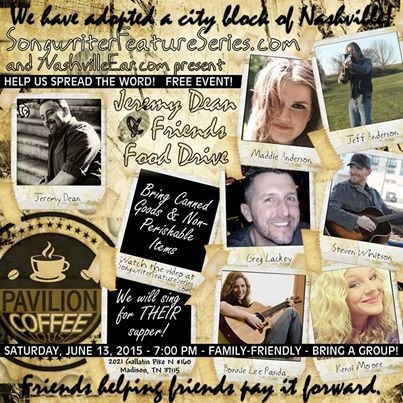 #NashvilleMusic #CMAWeek via Jeremy Dean​: @JDeanFX – Saturday, June 13th at 7 p.m.at Pavilion Coffee House​ in Madison, TN. Songwriter Feature Series​ – Family Friendly, Bring a Group, Jeremy Dean and Friends Food Drive, (bring canned goods & non-perishable items, please) Free Event.. Jeremy Dean​, Bonnie Lee Panda​, Jeff Anderson​, Kensi Moore​, @Greg Lackey, @Steven Whitson, @Maddie Anderson.